3-Pc Set Olympia Tables. Coffee Table And Two End Tables In Ivory Finish. Modern Design, Drawers For Extra Storage, And Casters For Easy Mobility. Details: Coffee Table: 39-3/4W. X 16-1/2H. 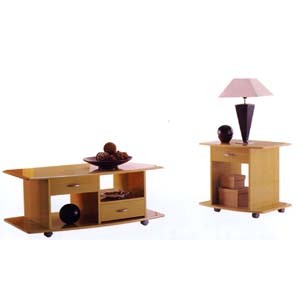 X 23-5/8D., End Table: 23-5/8W. X 21-5/8H. X 18-7/8D..